(VEN) - In recent years, foreign direct investment (FDI) enterprises have focused more on Dong Nai’s agricultural sector, improving competitiveness among businesses operating in the sector. 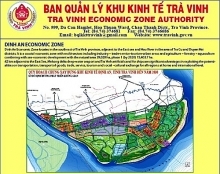 According to the Dong Nai Province Department of Industry and Trade, the province has maintained a stable industrial growth rate despite difficulties in national industrial development. April saw a 1.4 percent increase in industrial growth over March and a more than 4.3 percent increase compared with the same month last year. Dong Nai recorded an 8.24 percent increase in industrial growth for the first four months of the year compared with the same period last year. As of April 2015, Dong Nai had recorded 1,026 FDI projects with total investment of nearly US$19 billion, which were made in provincial industrial production sectors including electronics, textile and footwear. However, FDI investors have recently begun to pay more attention to the province’s agricultural sector, especially large-scale breeding and farming. Dong Nai is leading the country in terms of breeding, with 1.5 million pigs, more than 15 million chickens and nearly 9 million quails. Most previous agricultural FDI projects related to pig and chicken raising models, but now quail farming is growing. Roughly 50-60 percent of local farms are providing outsourced services to FDI enterprises that are investing in the province’s agricultural sector, according to the Dong Nai Livestock Association. Velbred, a Malaysian company, which previously invested US$3 million in its pig-rearing and breeding project in Vinh Cuu District, Dong Nai, has recently increased its investment by US$5 million. In addition, several other FDI enterprises including CP Vietnam, Emivest Feedmill Vietnam, Japfa Comfeed Vietnam and Sunjin Vina are also preparing for their expansion. All these FDI enterprises have adopted closed industrial production models and they have managed to outsource breeding and farming activities via contracts signed with local farmers. That means that FDI enterprises supply local farmers with breed and seed, feed, farming techniques and necessary capital, and promise to buy up all the output. So, local farmers feel secure to focus on production activities. 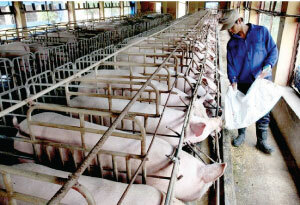 Many local farmers provide outsourced pigs, chickens and quails and have successfully increased their incomes. “Thanks to raising 1,000 chickens and 500 pigs for a FDI enterprise, I have paid off a VND150 million debt,” said Huynh Bach, a farmer in Dinh Quan District.